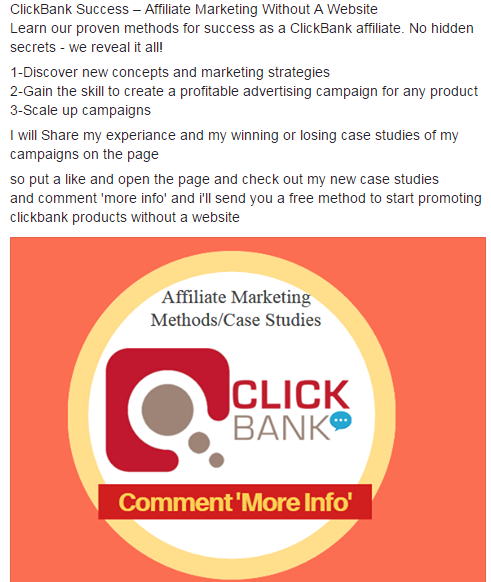 CPAHero.com Affiliate Marketing Sources & Inspirations My Money Making Journey $110 from $17 ad spend on facebook in 12 hours! This method costs money. Is that permitted? There's no actual make money tutorial in this thread, so it's posted in the wrong section. Looks more like a journey thread, so now moved there. Good luck in your journey to earning more! (12-12-2017, 11:04 PM)Greyhat007 Wrote: Signup or Login to view earning guides for mobile apps and websites. This method costs money. Is that permitted? (12-13-2017, 12:17 AM)Asmodeus Wrote: Signup or Login to view earning guides for mobile apps and websites. There's no actual make money tutorial in this thread, so it's posted in the wrong section. Please show us some proof with the people so community will give you better advise but i saw some kids over here who always trolling with some wrong statement. (12-25-2017, 03:53 AM)CheersFile Wrote: Signup or Login to view earning guides for mobile apps and websites. Please show us some proof with the people so community will give you better advise but i saw some kids over here who always trolling with some wrong statement. Looking good ! Can really make my investment at least double in next 48 hours ? Then i need try it !